It's been a week of misconnections, miscommunications and so on...so much so, I felt this week I should lament the two etsy convos that were questions about details clearly stated in the listing or the man that walked in Wednesday, that just about ran out when he saw a store stacked with girly gifts...not sure what he suspected we were from the outside, but I assumed he wasn't paying attention and drifted in my door. Clearly, though, I am not above reproach with probably the worst offense...this morning we got word that a good friend of the family is dying from cancer and not expected to last another week. Though she was secretive (apparently sick for a couple years), we just shrugged off the signs and went about our business. I had a rare day of help yesterday and I was glad to work from home (before this bombshell). I like to walk outside for a bit when the kids are napping. The ground is so soft compared to the hard floor of the shop. 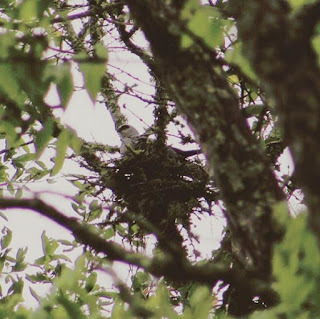 I also found a very large bird's nest; it's a Mississippi Kite - can you see it? They've come back for the last three years and nested. Or at least the three years I've paid attention. Of course you can't be everywhere at once right? And I'm lucky, though it's a small group - I have a group that looks out for me. 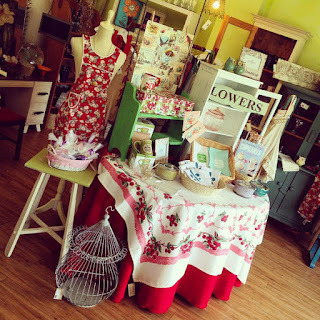 The above is from the team at Rustic Treasures, where we opened our second location this month. I check in each week and they always make sure our items look fresh and shelves stocked. 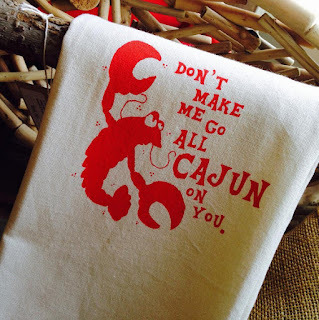 Doing my part at home, I silk-screened a small run of one of my most popular towels -- our Cajun Crawfish towel and made sure its in both shops and online. 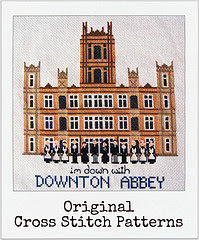 We already sold one on Etsy this week with a rave review; love that! Also, another pet project. I'm cleaning up and revitalizing a shelf that will become part of our new jewelry and accessories area. I'll share the results once complete, but currently, it lives my head mainly. 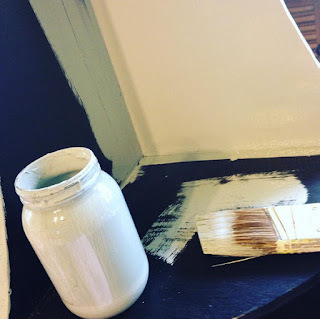 I used our very own chalk paint, hard to tell, but its one of most favorite colors, French Quarter Rain, that popular eggshell blue green everyone loves. And with Mother's Day approaching; I started thinking about our seed collection from Hudson Valley Seed Library. This year, when the shipment arrived, my mother and I pilfered the box, picking several packages to try. It's been fun comparing notes. She told me today, the bumble bee tomato we sell (one pack left) is indeterminate...meaning it will grow and grow and grow. She expects a big harvest. Her tomatoes are further along than mine, but she is a Master Gardener. 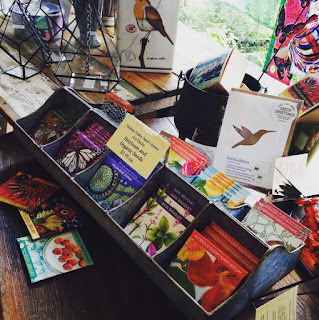 In fact I consult with her on all seed order for the shop, just to make sure its right for our area and that even a novice gardener (like myself) will enjoy the experience. This weekend, as you begin to slow down - try to take stock, and see what's right in front of you; but take heart too, that there is no way to notice everything and that's why we have one another to help us catch the good stuff. our Mother's Day tabletop inside Nest Interiors; most items are online and on sale. 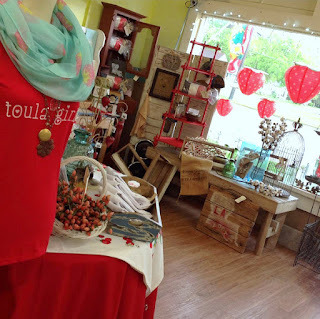 This Saturday we did a huge retail no-no; we closed! I know, I know, stores, especially independent ones should be open always. We had the opportunity to take our kids to the Baton Rouge Zoo, free with lots of extras -- and we couldn't pass it up. A lot of retailers want to say "family first" but its always a struggle between that and being professional. I do want to just add, we asked a lot of people if they wanted to work months in advance, with pay and incentives of additional gifts and no one wanted to give up a Saturday (and I guess neither did we!) - it seems weird to me as I would of jumped at the chance as a young girl to have this job. I did get to see this awesome bird at the zoo (twice actually as it's in two areas). 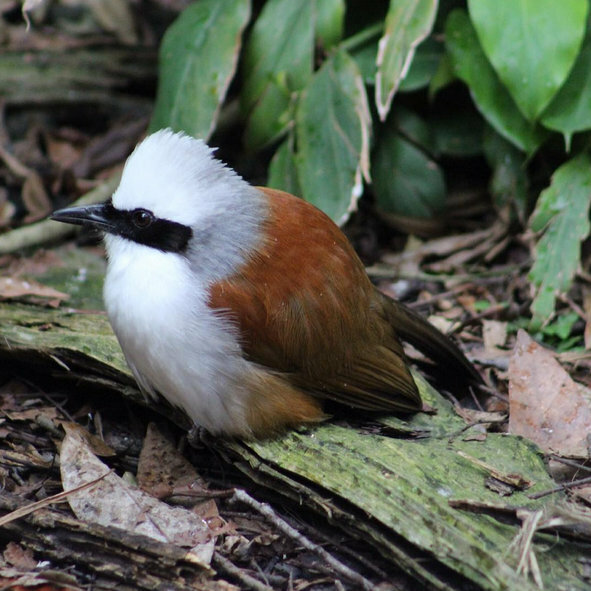 Its a white crested laughing thrush from Indonesia and the only "songbird" type bird I found in the collection. There's a pair in the back of the zoo nesting and that was really remarkable to watch. 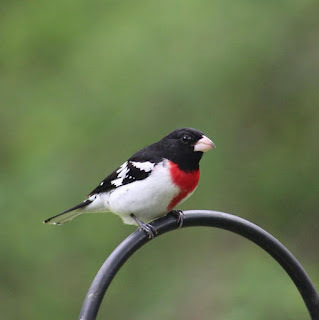 The very next day, at home, I open my window to see a treat of a rose breasted grosbeak. 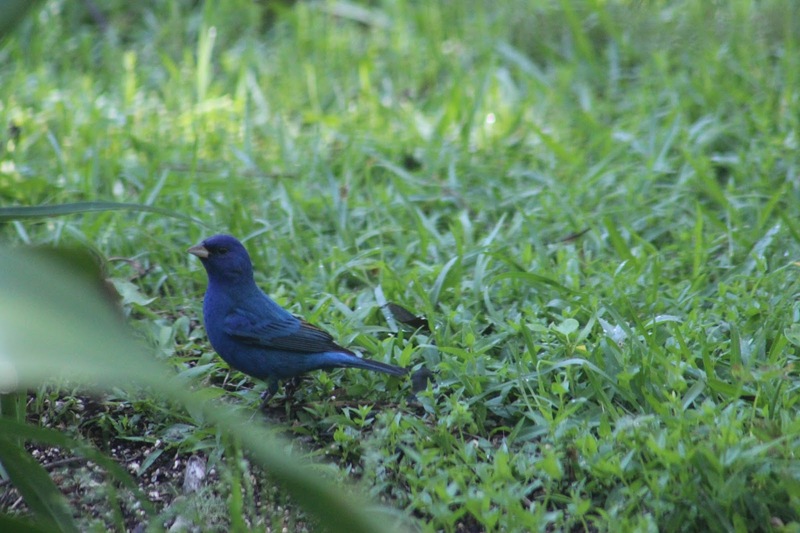 Just as remarkable a bird, and nearly the same size as the thrush - right in my yard. 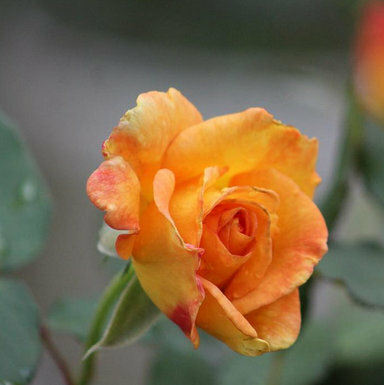 It's amazing what we see when we learn to really look. 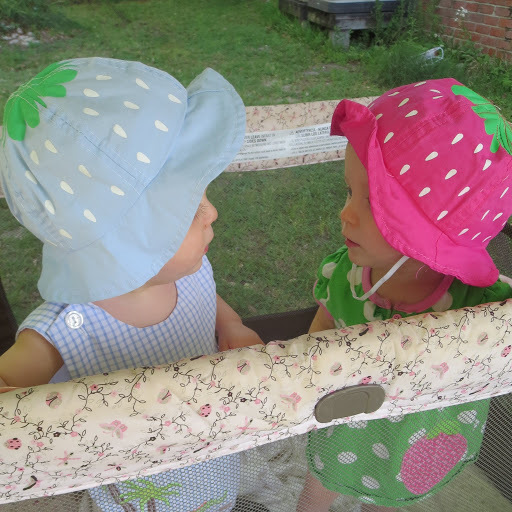 That being said, I wanted to stay home all week, play in the yard, look at birds, and sing to my kids. 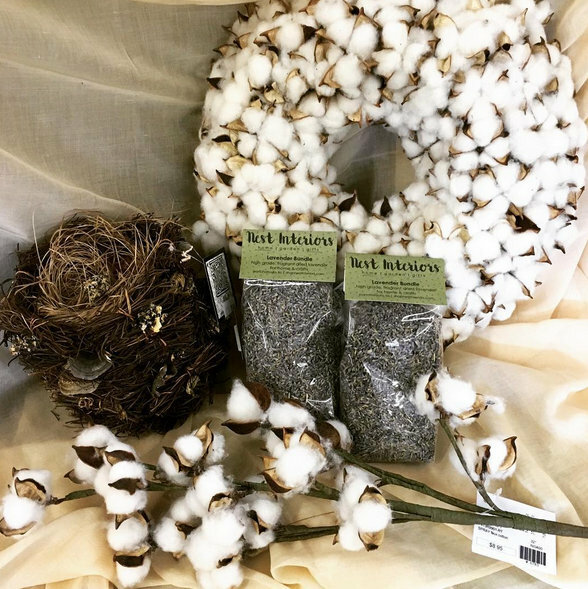 I dutifully carried on and brought a nice update of cotton to our booth at Rustic Treasures. Both stores got a refresh of Swan Creek Candles that arrived Tuesday. 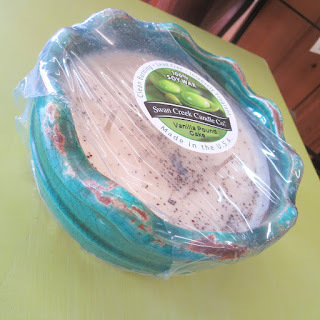 My favorite is this Vanilla Pound Cake in a bright teal bowl - I seriously could sit with a spoon and eat it, it smells that delicious! Wednesday, I updated our Etsy with some items that have been in the physical shops and for reasons beyond me not found homes. 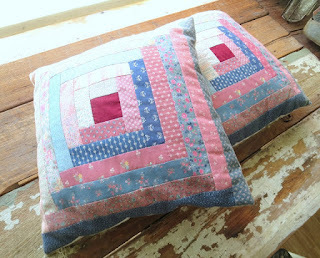 Like this beautiful quilted pillow set with matching log cabin block tops. 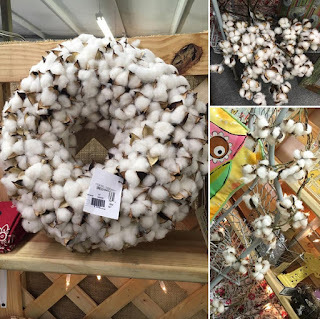 They're just lovely and would be so sweet on a porch or guest room with twin beds. And yesterday, I spent a good portion checking in a lot of jewelry items and updating the main website. 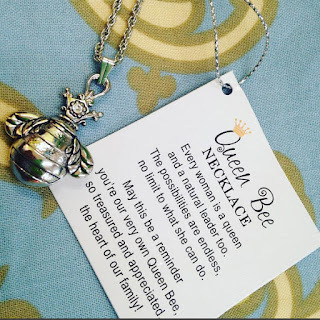 This Queen Bee necklace is already getting a lot of attention! So, I'm nearly caught up from our day at play; I realize also that it's Admin Professionals next week, Mother's Day and Teacher's Appreciation is near too and I may never truly catch up...ever. So, I might as well as some fun along the way! 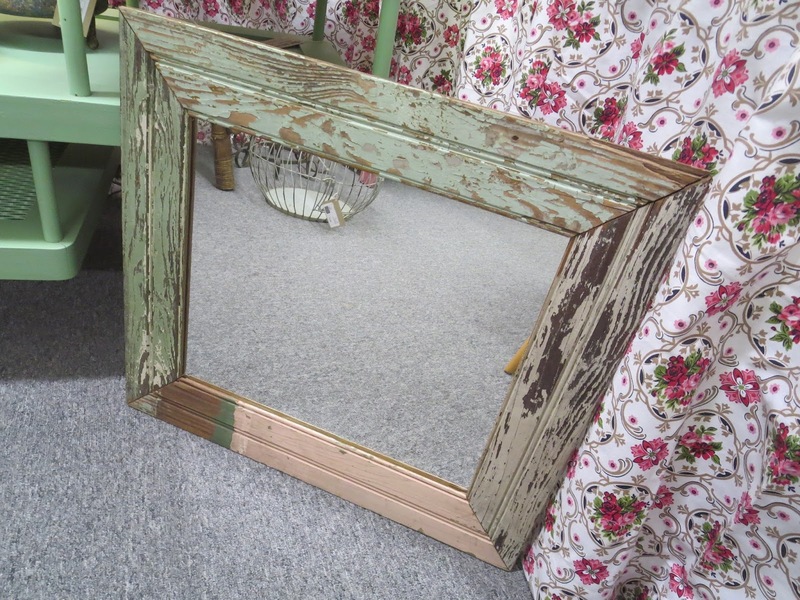 It's been a busy month for us at the shop and lots of shiny new items have arrived but a steady stream of amazing vintage and antique items have appeared too! We have out of state buying trips scheduled in both May and June - so, keep watch for even more one of a kind and unique finds. The above mirror is actually a re-purposed creation using old bead board with original chippy paint; I just adore this piece! Look at this soup tureen! 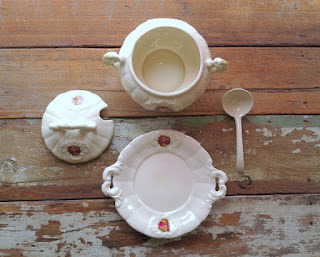 It's gorgeous and includes platter, lid, and ceramic spoon. It actually isn't terribly old as it's dated 1982 (ok for some people that might sound like ages ago, for me it was yesterday). Newly vintage and with a small chip (that you can totally turn that piece around), I think, makes this piece a nice functional acquisition that you won't be afraid to use. 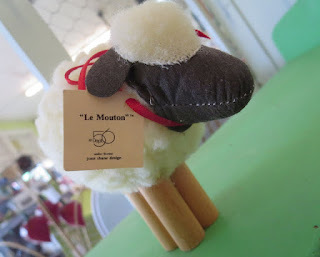 Also, from the early 80's is "Le Mouton" - how ridiculously cute?! Nevermind that he's a highly collectible decorative figure from gift company Dept. 56, he's sooooo adorable. Perfect for a knitter or crocheter, I think. This past weekend was Strawberry Festival for our small town. I made no fanfare about it as in past years on the blog as it's almost a hardship to go through each year. An estimated 300,000 people attend in a town of just over 6,000. It's a lot of people (though it feels lighter each year) and they really only want alcohol - all day long. 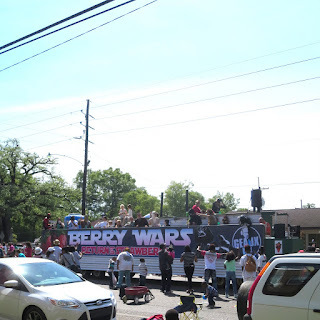 With that in mind, we don't expect a lot of sales and we move into "crowd control" mode -- this year, despite me being right in the entrance, a man staggered in either drunk, overheated or both and took down a cabinet full of glass. With no means to pay for it, he left quickly. So this year was a complete loss. Earlier in the week, as I was dreading this event, I was listening to an interview with a musician about what gratitude she felt having the career she has, entertaining people even, as she added, they are texting. And I too, though I'm no rock star, know I'm lucky to have had this amazing opportunity owning and operating this shop. Plus, it was an amazing feeling having my kids at the shop over the weekend and taking in the parade Saturday morning. 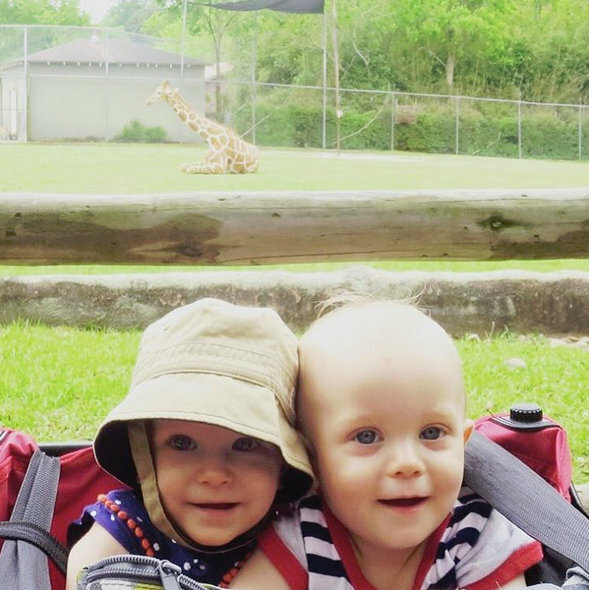 Just a year ago, they both were in the NICU. So, I'm calling it "Gratitude with a Bad Attitude" - I want to honor the hard work and loss of money, time, etc. 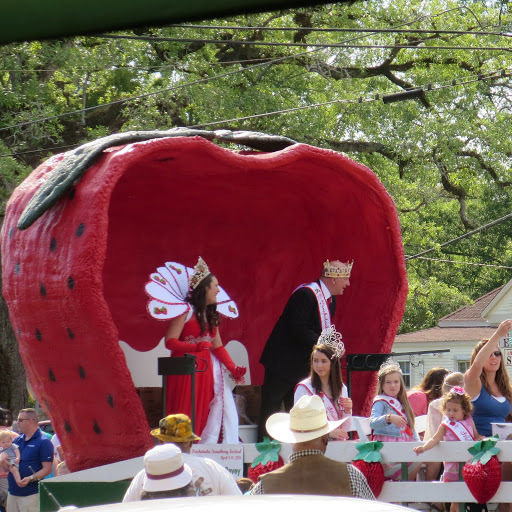 this festival brings on me each and every year, but I remain ever grateful I have a place in this town (and it's not Strawberry Festival every weekend!). 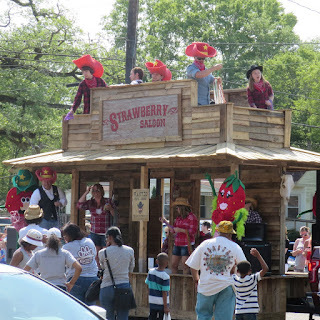 Festival attendees we asked were mixed with reviews; if you like food, drink and a carnival atmosphere, it was your cup of tea; however, if you wanted to see the real Ponchatoula, shop our stores comfortably and eat at our restaurants - it was hard and in some cases impossible. Hopefully, it will bring back both kinds of festival goers to see what our town is really about on a normal day. I'm taking part in Scheepjes Crochet Along 2016, beginning April 20th - a beautiful afghan and just what I needed to bust my stash. Kits are available, but the pattern is free and I just couldn't justify more yarn when I can't close my closet with out being hit with a ball of yarn! I loved this article - are we all suffering from neurasthenia? It's a 19th century term from what we equate with burnout -- they took it seriously then and even prescribed bed rest! Worth considering in our busy days! It was a busy weekend beyond the festival as three groups of birds fledged from my home - red bellied woodpeckers, carolina wrens, and carolina chickadees. I was able to see the chickadees leave the nest one by one and have pictures on my tumblr page for my birding. indigo bunting or "blue canary"
This week I'm wrapping up with a bow, my Feederwatch season. It's my small way of giving back, playing citizen scientist and counting birds over a two day period over a few months. I actually love the pause from the shop; after hearing people chatter all day -- to hear birds is heavenly! Scientist actually use the data to see migration trends, check bird diseases, and see if any birds pop up in odd places. 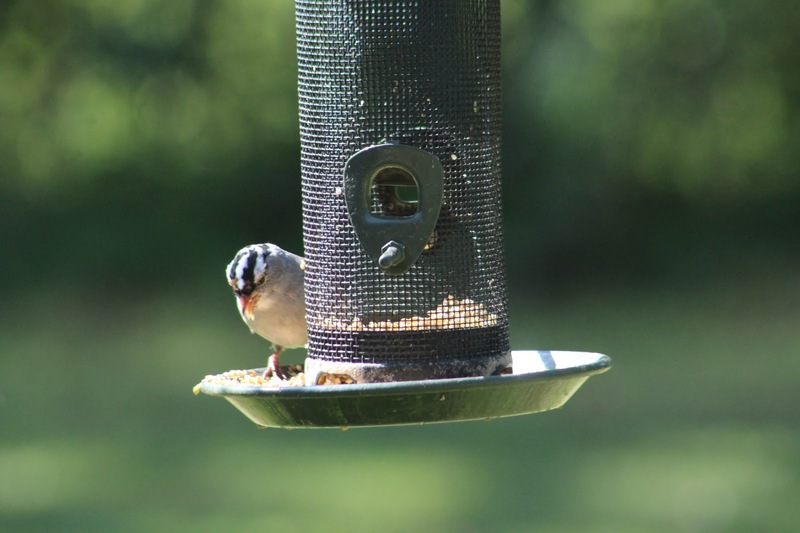 This is my third season, and each year I reflect and think what can I do to attract more birds. 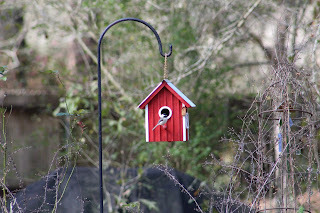 We attempted to lure a winter hummingbird this year by maintaining our feeders all through winter. 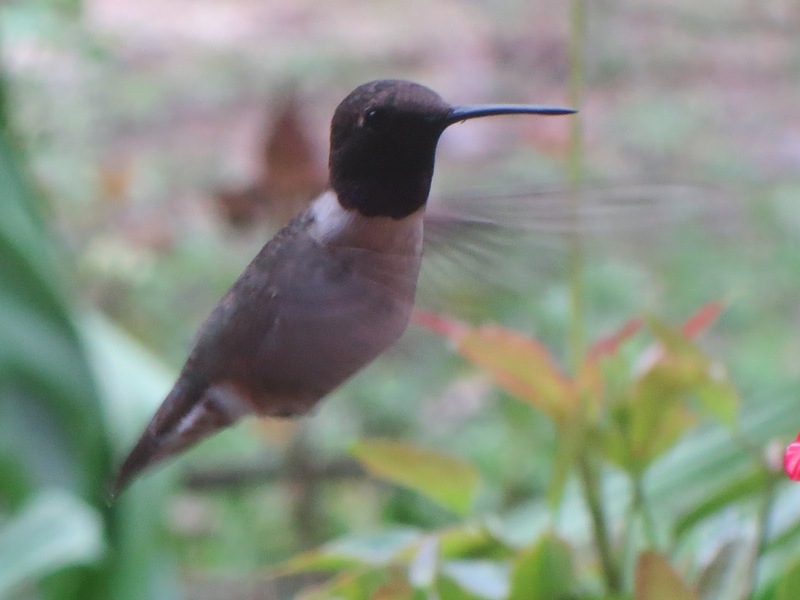 It worked in a big way with a black chinned hummingbird that established "site fidelity" -- don't you love that phrase; he stayed from late October thru the end of March until the ruby throated hummingbirds moved into our yard. 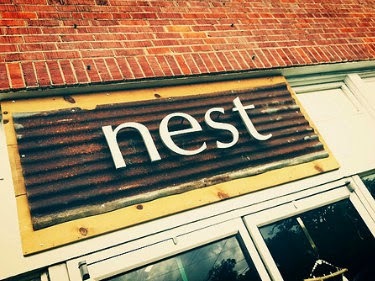 We also added more nest boxes and birdhouses; so far we have chickadees and wrens in two houses with hatched chicks, a nest of red bellied woodpeckers in a dead tree, and two possible residents, blue birds and *fingers crossed* a prothonotary warbler. 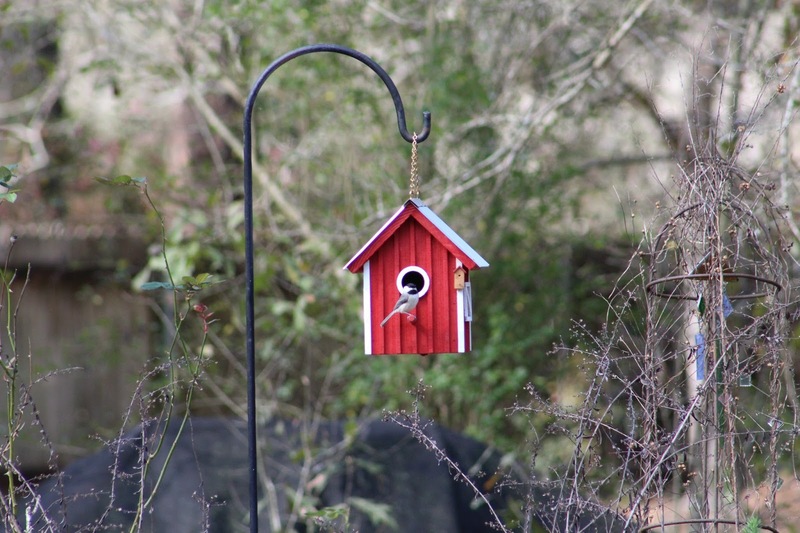 Some yard firsts this season (in addition to our black chinned hummingbird), an immature white crowned sparrow that is still with us and lords over a family of white throated sparrows. A hermit thrush (I also saw one in Florida back in January too) and an orchard oriole. Birding has become such an inspiration to my life and work at the shop, even though Feederwatch is for science, I find I get so much from it.